Designed to help meet increased demand for wide-body completions and refurbishments, Jet Aviation's new wide-body hangar, "Hangar 3," is capable of housing several wide- and narrow-body projects simultaneously. Hangar 3's wooden arch structure supports the maximum height to ensure space for a Boeing 747 on jacks, while its extended nose-box permits two wide-body aircraft concurrently. In addition to a 5,000 square-meter tarmac extension, Hangar 3 further provides 2,000 square meters for shops and offices. 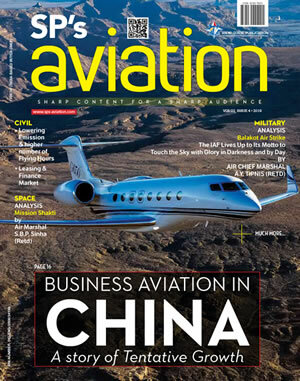 "We have a long history of handling major modifications and completions at Jet Aviation, and we continue to invest in the latest technologies that support the highest quality and safety standards for our customers," said Jet Aviation Group President, Rob Smith. "This hangar demonstrates our ongoing commitment to Basel and the region, and is a tribute to our past and future success." 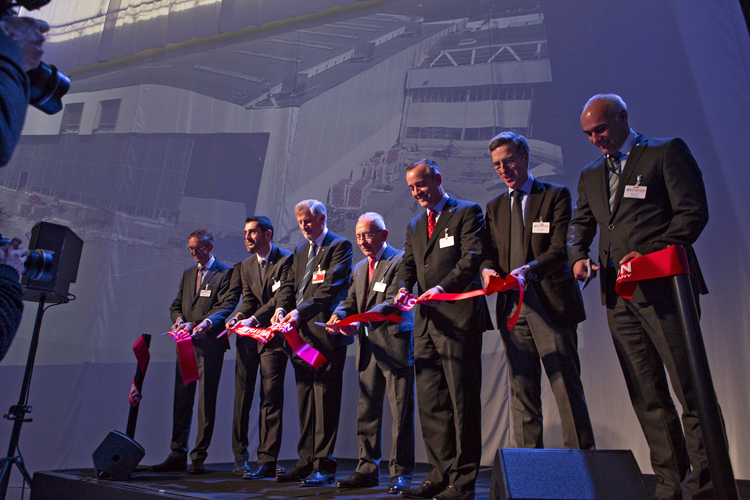 To celebrate the official opening of its new wide-body hangar facility in Basel, Jet Aviation was pleased to host a Grand Opening event in the hangar for regional government representatives, the EuroAirport management, suppliers, authorities and the media. Welcome and acknowledgement speeches were given by Rob Smith, president of Jet Aviation; Dirk Sapatka, site operations leader and general manager of the company's operations in Basel; Sylvain Von Hof, Jet Aviation's senior director of facility management, EMEA & Asia; Matthias Suhr, director of EuroAirport Basel Mulhouse; Luc Gaillet, president of the Board of Directors at EuroAirport; and Gaston Latcha, mayor of Hésingue. Following the speeches, Jet Aviation hosted a ribbon cutting ceremony, luncheon and tour of the facility.